In a bid to give more fiscal autonomy to states, the Centre in the last budget gave them a higher share in Union tax receipts. Has this helped the states? On February 29, Union Minister of Finance Arun Jaitley will present the third budget of the National Democratic Alliance (NDA) government. And the highlight this year will be the performance of Prime Minister Narendra Modi’s bold fiscal decentralisation that was rolled out in the last budget. Accepting the recommendation of the 14th Finance Commission, the Union government in the last budget devolved 42 per cent of the Central tax pool to the states. Before this, the share was 32 per cent. In plain monetary terms, the percentage increase translated to Rs 5.2 lakh crore in 2015-16. This is the money states can spend as per their wishes. 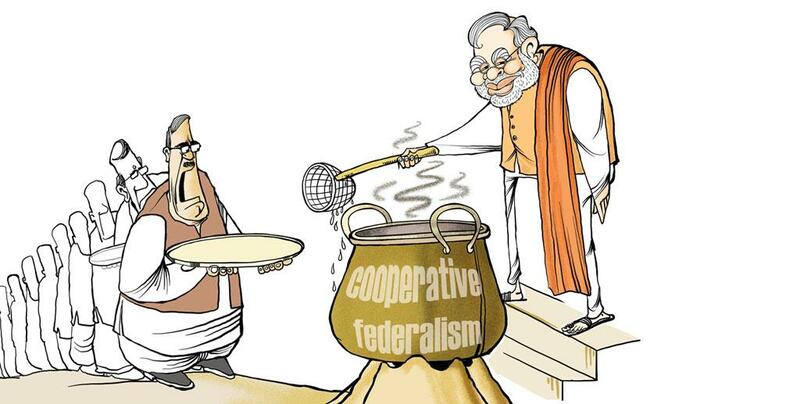 The prime minister called the decision his first step towards realising his popular and desirable slogan of “cooperative federalism”. The success of the move is extremely important to the Centre, especially now when it faces limited options to raise revenue because of the overall economic slowdown. Besides, the Central government has to spend on the 7th Pay Commission recommendation and the One Rank One Pension commitments, which will collectively cost close to Rs 100,000 crore to the exchequer. From the beginning, many states have raised objections over the inadequate financial transfer under the move. Civil society groups have also raised concerns over the fear that states might reduce the spending on crucial social sectors such as health and rural development. Their fear stems from the fact that the Centre massively slashed budget allocation for most of the centrally assisted schemes and completely stopped assistance to 24 schemes. The Centre has also slashed its assistance to state and Union territory plans from Rs 329,712 crore in the budget estimate of 2014-15 to Rs 195,778 crore in 2015-16. Consequently, Central-tied grants, which accoun-ted for 46 per cent of the total transfers to states in 2010-11, came down to just 25 per cent of the total fund transfer in 2015-16. Down To Earth correspondents spoke to state finance ministers and government officials, and analysed budget documents to understand how this historic decentralisation has progressed. While most say that it is too early to judge, there is an increasing belief that the roll-out has not been well-thought-out. Many states have gained money-wise, but have failed to channelise the funds in the right direction. This, at a time when the country is witnessing an economic slowdown that warrants enhanced public spending. There is also confusion over the amount of money that will be transferred and over the fate of the ongoing Centrally sponsored schemes. Many think that the fiscal decentralisation was rolled out at an inappropriate time. “The 14th Finance Commission report was ready by December 2014. But it could not come into public domain until it was placed before Parliament. By that time many state governments had formulated their budgets for 2015-16. So they did not factor in the recommendations,” says Bibek Debroy, economist and a member of the NITI Aayog. By the time the last Union budget was presented, half a dozen states had already presented their budgets. What is worrying is that even the states that presented their budget after the Union budget failed to prepare for the fiscal decentralisation. Is it true that the extra devolution introduced after the 14th Finance Commission does not increase the available funds with the states in real terms? Yes you are right. There was a misconception when the commission gave its report that there would be a huge increase in the fund allocation to the states. But this was not the intention. Instead, we only wanted to raise the state's share of untied money. So, we recommended an increase in the state's share in the Central taxes. At the same time, the Union government has reduced the share of Central aid to states so that the total funds that the states from the Centre remains almost the same. From the state's point of view, they will now have a larger say in how to spend the money. This is different from the earlier practice where the Centre plans the schemes and the states merely implement them. This has not been effective because India is a diverse country and every state has different needs. The condition of Assam is not the same as that of Gujarat. As a result they require different schemes that are tailor-made for them. The sates had long been demanding flexibility and Prime Minister Modi, who was once a chief minister, wanted the states to decide how to spend the bulk of the money. How has been the success so far? The proper answer to this question will be given when the states come up with their budgets this financial year. I am assuming all states will now spend more on capacity building and concentrate on sectors that are lacking. Is there any example that shows how financial devolution has helped? The data is not available. But one can predict on the basis of the past performance records of individual states. States like Gujarat and Tamil Nadu, which spend a lot on infrastructure, will continue with the trend. Also Bihar, which has in the recent past increased its spending on infrastructure, will have more funds because of the devolution. The government will have to spend a lot of money to roll out the 7th Pay Commission. Will this derail the devolution process? While the implementation of the 7th Pay Commission might create some financial stress, it is unlikely to derail the devolution process. The net resources transferred to states and Union territories in the 2015-16 budget was Rs 842,963 crore, which was 23.2 per cent more than the previous fiscal’s transfer of Rs 6,83,966 crore (in the revised estimate). “It will be only in the budget of 2017-18 that the recommendations will reflect. 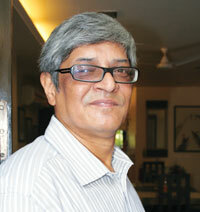 The current year would be the process and 2017-18 perhaps the year when actual institutional change would take place,” says Debroy. Many states, particularly the ones with large poor population and heavy social spending, have complained that the sharing of Central pool of taxes will not be adequate. Data shows that BIMARU states like Bihar and Rajasthan have not benefited from fiscal decentralisation. Though their share in tax pool has increased, the slash in Central grant-in-aid to states meant the actual funds available with poor states like Bihar and Rajasthan remains largely unchanged. These states are also not known to spend on development on their own. For example, Bihar’s share in central tax pool has increased by 21 per cent, but the central grants that the state received dipped by 42 per cent. As a result, there is a net loss of around Rs 4,000 crore in the state’s budget. For Rajasthan, the share in tax pool went up by 27 per cent while it saw a dip of 28 per cent in Central grant-in-aid. “From the point of view of states, there has not been much increase. However, the composition of money share has changed. 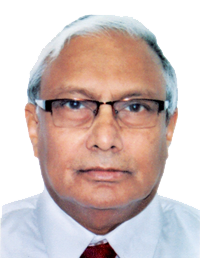 Now states have the autonomy to manage a significant share of the central tax pool,” says Sudipto Mundle, a member of the 14th Finance Commission. States are also unhappy with the formula that the commission has used to divide the additional money among states. The commission has used five factors—population, demographic changes, income distance, geographical area and forest cover—to decide the share of states in Central pool. As per the information received from Sikkim’s finance department, the 14th Finance Commission has overestimated the state’s revenue receipt and underestimated its expenditure. As a result, the state will incur an estimated shortfall of over Rs 5,800 crore between 2015-16 and 2019-20 in respect to state’s own revenue. It was further added that the state is not eligible for the post devolution revenue deficit grant. Under the commission report, the Centre will give the grant only to “states having post devolution revenue deficit”. But calculations done by the commission suggests that Sikkim will have a post devolution surplus of Rs 6,181 crore, which the state government says is unachievable. Similarly, the Kerala government feels the autonomy will be of little use because states will have little additional funds to invest. “The last Union Budget came as a sore disappointment for Kerala as it gave a short shrift to the state in more than one way. Cloaking the truth, the Union budget last year tried to justify the cuts in expenditure on the grounds that more funds have been transferred to the states,” says Kerala finance minister K M Mani. He adds that even the percentage increase is not sufficient to carry out development. “What has now happened is that there is more autonomy for the states without any worthwhile increase in the funds that will flow into the states. Kerala had sought an increase in the devolution from 32 per cent to 50 per cent, but the 14th Finance Commission increased it to 42 per cent, which is only a modest increase in the share of central taxes. This leaves us with little money for new developmental initiatives,” Mani says. Sonal Varma, an economist with consulting firm Nomura, thinks the basic idea behind the move has been achieved because states will have more funds to spend. “Whether states spend that money in revenue expenditure or channelise that money in social sectors depends on them,” says Varma. It has been the trend that states spend more on revenue expenditure such as salary and pensions at the cost of assets creation (capital expenditure). Nomura’s analysis of 16 state budgets of 2014-15 found no significant push on capital expenditure in state budgets. The report, “India: A peek into state finances”, says that most states spend more than 80 per cent of their resources on revenue expenditure items, including interest payment, subsidy and pension, while expenditure on asset creation accounts for less than 20 per cent of total expenditure. “Fiscal decentralisation is a new framework and the states might take time to develop a mechanism or a structure to channelise the money in a better way,” says Varma. How have the states performed in the first year after the Finance Commission recommendation was implemented? I think the question is a bit premature. The 14th Finance Commission report was prepared by December 2014, which was formally accepted by the Centre in 2015-16 budget. As a result, most state governments did not factor in the recommendations in their budget. I think the recommendations will be properly factored in only by 2016-17. Even the report of the sub-group of chief ministers under NITI Aayog on Centrally Sponsored Scheme (CSS) was released in October 2015. The committee report gives the guidelines on how CSS will be handled after the devolution. Without the guidelines, there was little clarity on how to handle them. So, the Union finance ministry used an interim arrangement in 2015-16. Are the states in a position to make the necessary adjustments in the 2016-17 budget to properly channelise the additional funds? I will say perhaps not. The current year would initiate the process and 2017-18 will perhaps be the year when actual institutional changes take place. Also, 2017 is the last year of the 12th Five Year Plan and the Union government will have to fund the ongoing projects till then. Do states have the spending capacity to utilise the additional funds they will now receive? The capacity-does-not-exist argument should not be used against decentralisation. It is true that there are capacity problems. But most of them will get ironed out automatically after the process is started. How true is the fear that states will not spend much on social sector? Let me talk about the health sector. There is an argument that expenditure on public health might go down if the state is given more power. But health is a state subject. Also, the report of the sub-group of chief ministers under NITI Aayog on CSS has recommended that the two important Central healthcare schemes—National Health Mission and Integrated Child Development Services—will continue to be a part of national development agenda. So let me ignore them. Our calculations show that even if state governments spend 10 per cent of the extra devolution amount on the sector, the overall health expenditure will go up. Additionally, this fear that states will not invest in capacity building can be averted if the recommendations of the state finance commissions are made mandatory. I know these steps cannot guarantee that state governments will invest enough in the scioal sector. However, it is the role of the people and not the Centre to check that states follow good governance. So this argument cannot be a reason against decentralisation.